In Sacramento County, drowning is the leading cause of death for children ages one through five. According to the Sacramento County Child Death review team, 57 children under the age of 18 died due to drowning between 2000 and 2008. Of the 57 deaths, 38 (67%) were children under six years of age. Of the 38 children less than six years of age who died due to drowning, 69% died in a pool, hot tub or spa. Since April, the Elk Grove Police Department and the Cosumnes Fire Department have responded to two fatal drowning calls where the children were under the age of six. Many people assume that, at a residence with a pool, spa or hot tub, the danger of drowning occurs only when the family is outside. But, a common scenario takes place when young children leave the house without a parent or caregiver realizing it. 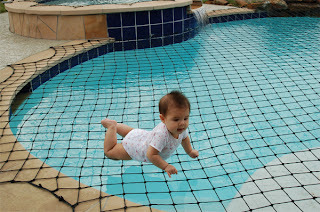 Children are drawn to water, not knowing the terrible danger pools, spas or hot tubs can pose. The key to preventing these tragedies is to know the ABC’s of Drowning Prevention. • Adult supervision is the key to drowning prevention. Always assign a “water watcher” who knows how to swim. • Put in, check and always use a child-proof barrier (5 feet tall, non-climbable and self-latching) around your pool/spa area. • Learn CPR (Cardiopulmonary Resuscitation) and rescue breathing. For additional water safety tips, visit the CCSD website. No Comment to " Police, Fire Officials Urge Pool Safety "